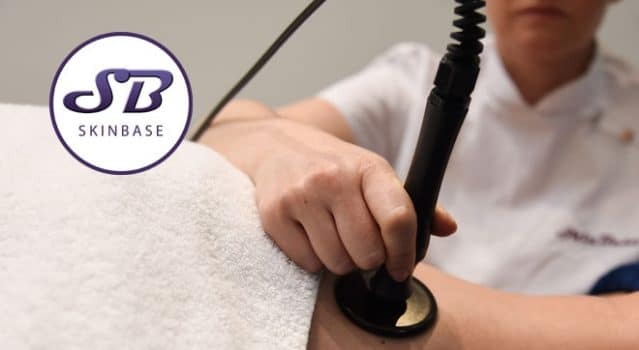 What is a SkinBase Radio Frequency Treatment? An extremely effective anti-ageing treatment, SkinBase Radio Frequency, or ‘RF’ is growing in popularity thanks to its quick and long-lasting results. Radio Frequency doesn’t require any needles or invasive techniques, so it’s the perfect alternative for anyone who doesn’t like the idea of surgery or injections. Because it’s non-invasive, Radio Frequency doesn’t require any downtime or recovery afterwards either, which makes it as convenient as it is effective. Read on to find out more about this exciting treatment and most importantly what it can do for you! Of all the signs of ageing, it’s the sagging and loss of elasticity that we tend to dread the most. Radio Frequency works to tighten and tone the skin which therefore makes it the perfect treatment for anyone with sagging jowls, skin laxity, turkey neck or wrinkles. Radio Frequency isn’t limited to helping people with ageing, it is also used to help reduce the appearance of acne scarring! And why stop at the face; Radio Frequency can be used on the body to target stretch marks, cellulite and sagging skin (on the arms, for example). Radio Frequency essentially reverses the ageing process, to achieve younger looking skin. 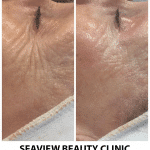 The treatment also re-aligns elastin fibres, which gives the skin strength and structure. And best of all, these changes come from a simple, natural bodily function, rather than something artificial like a surgical lift or injections. With all this talk of heat and wound-healing, you might wonder if RF is uncomfortable, but good news – it isn’t! Radio Frequency feels similar to a hot stone massage, it’s warm without being painful or too intense. In fact, Radio Frequency is a pleasant and relaxing treatment! You can have treatments in two different ways; once a week for six weeks, or twice a week for three weeks. If you’re really keen to get your skin looking fresher and younger, an intensive three-week course could be the perfect option for you. See improvements in your skin immediately, improvemenrs will continue to develop for up to three months after treatment, with the results lasting for up to two years! It’s a fantastic choice for anyone who wants younger, firmer looking skin without having to resort to invasive treatments. Find your nearest Radio Frequency therapist here.